It’s no secret I haven’t traveled long. My bio tells you I didn’t leave the United States until the age of 25. After that, I was bit by the travel bug and hooked ever since. I think that's why cruises always appealed to me. The idea of visiting multiple countries on a single trip? Amazing. And on a boat the whole time? Even better. Crowds aren't an issue for me, and I figured you were only on the boat to eat and sleep anyway. Well, my husband is the exact opposite. He hates cruises. I was stuck shoreside watching friends, family and more go cruising, but not for long. Shortly after a trip down to Disney World, I discovered Disney Cruise Line. It looked perfect for our family. So, I showed it to my husband and he actually said yes to a cruise! For my kids and I.
Yep, he stayed home. Boy did he miss out! This was our trip from 2016 when it was just the kids and I. We sailed on the Disney Dream. Two years later, I was planning our spring break and broached the subject with him again. To my complete surprise, he not only agreed, but also said he would come along! I knew his Disney Cruise Line experience needed to be absolutely amazing if I ever wanted to: 1) get him on another cruise, and/or 2) go on another cruise with my kids period, even if that meant alone. So I planned. And planned. And planned some more. As we drove into the port that sunny morning, my skeptical husband texted with friends complaining of the misery he would soon endure. Later that night, I caught him smiling. By the second day, the ship surprised him with the high attention to detail and food quality. Days three and four were spent relaxing, taking island excursions, exploring the ship (and having an impromptu dance-off's with favorite childhood characters unbeknownst to me), and dressing like pirates. And by the time day five rolled around my husband was shocked he waited so long to try a Disney cruise. 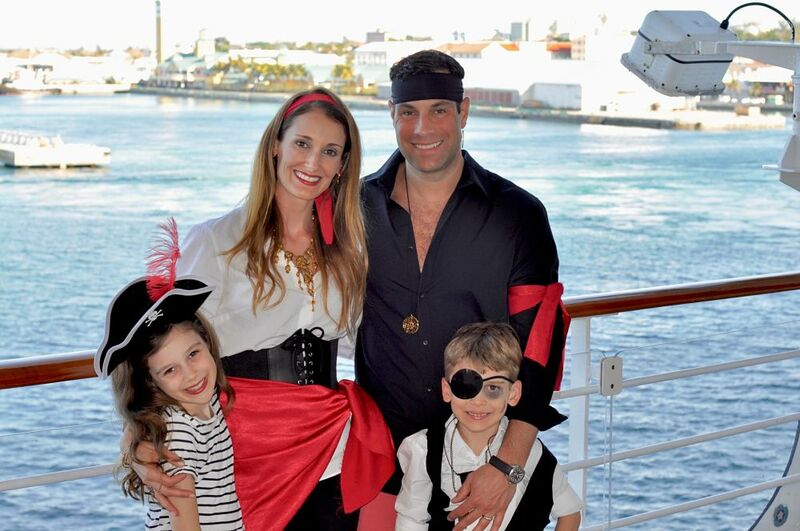 We enjoyed every minute of our vacation and left the port laughing about the memories made. Later that evening, my husband officially went from Cruise Critic to Castaway Cay Club Member - he began researching sailings for next year. And guess what? Two months later, we booked. So how did I do it? Well, that is the secret sauce. 1. Know Your Audience. My husband has discerning taste and is accustomed to certain luxuries while traveling. I booked a Concierge Level room to ensure his standards were met. Similarly, if your spouse hates crowds, a room with a verandah is a good choice so they can escape once in a while. 2. Maintain normal vacation routines. Whenever we go on vacation, we unpack our bags before checking out the resort. We also work out every morning and grab sunset cocktails. Its our thing. I made sure we stuck to our usual routine - that way my husband slipped right into vacation mode. It helped him realize our routine travels with us. 3. Plan, plan, plan. I planned 90% of our trip ahead of time, finding activities that best suited my husband’s tastes. For example, on our sea day, I made sure to book him a massage at the spa in the middle of the day, knowing he wouldn’t swim in the pool. 4. Early in the cruise, go out for an adult dinner. Remember all that planning you did? Perhaps the most important was a reservation for Palo or Remy. You are on a Disney Cruise. Trust me when say your kids will love the kids club. Take advantage of its services to have one-on-one time. Missed the booking window? No problem. 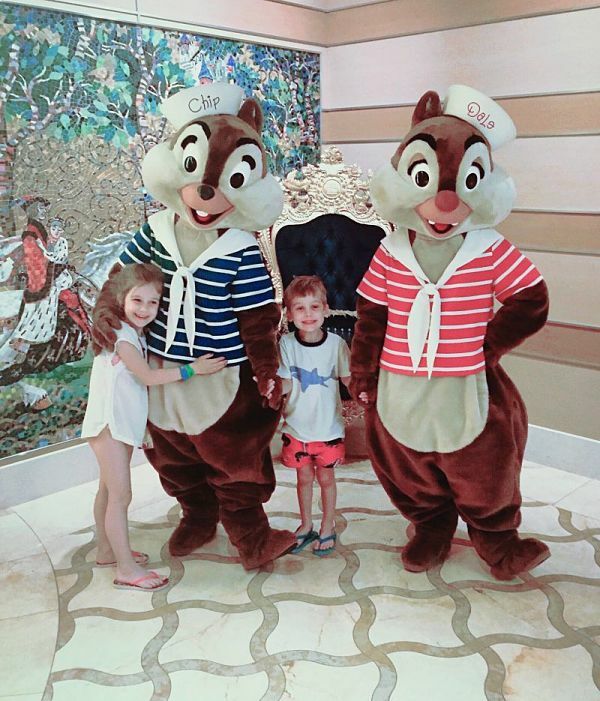 At the rotation restaurants, DCL offers the option of picking up your kids during dinner, so you can experience the ship too! 5. Don't stop with just these tips! Scour the Internet to find ones best suited to your audience. For example, if you have a social butterfly, check out the DCL boards to find a fish extender exchange for your sail dates! And, definitely check out the Disney Mom's Panel. There are a ton of great tips that might just help you win your spouse over too! *This is not a sponsored post and I am not currently a Disney Partner (and have not participated in a Disney Social Media Moms event). 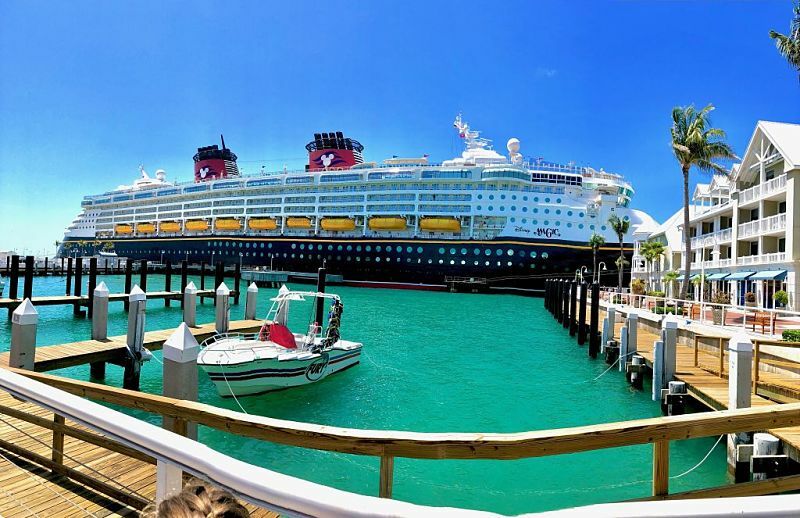 The opinion expressed in this post is 100% my own based on our real life experiences on Disney Cruise Line.